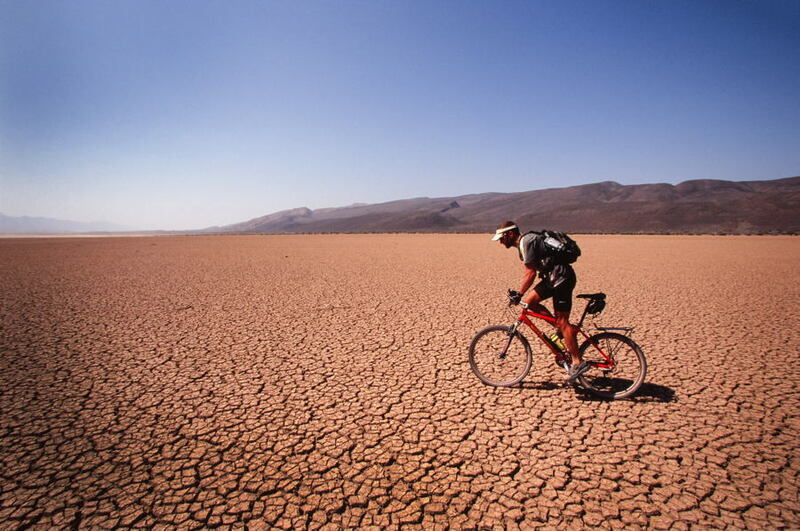 In a world where everything seems to have been done already, Jason Lewis has pulled off something entirely unique: circumnavigating the globe using only human power. No planes, motors or metal–just mental and physical endurance, along with the help of total strangers. Since his 13-year, 45,000-mile journey, Lewis has written a series of award-winning books documenting his travels, with the latest installment slated for release in May. Perhaps more importantly, though, he’s returned with a renewed perspective on the environment, humankind’s interaction with it and the importance of living within Earth’s biophysical limits. I recently sat down with Lewis to discuss his trip and what he’s learned. Savannah: You’ve described yourself as an army brat. How do you think that may have influenced your perspectives on the world and potentially your decision to circumnavigate it? 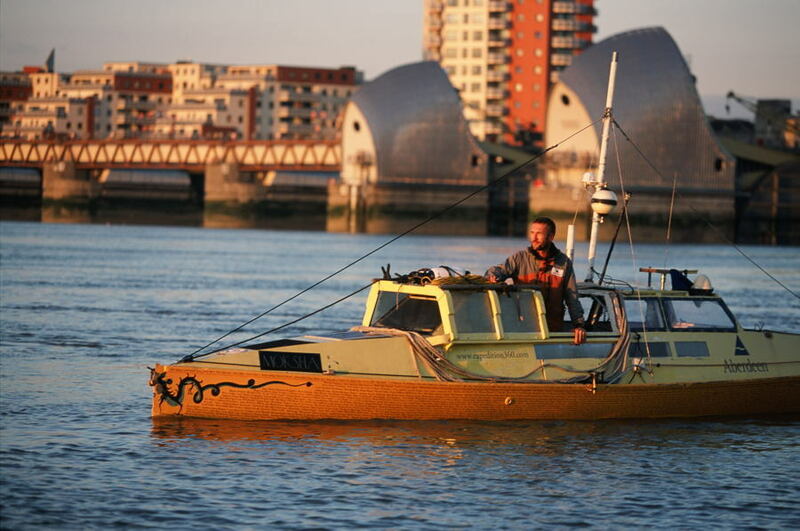 Jason: I don’t know if my upbringing had anything to do with me or what I ended up doing, in terms of circumnavigation. But my family did travel around a lot, and we lived in very exotic parts of the world, like Somaliland, Germany and Kenya. But even if I wasn’t necessarily influenced by the places where we lived, my parents always would talk about travel with me. They never really saw themselves as coming from one sort of cultural hub. Both sides of my family had served abroad with the Colonial services, and had always seen themselves, or have rather been somewhat global citizens. Savannah: Were there any particular books or movies that you enjoyed as a child that brought forth the idea that the world was something to be explored, not feared? Jason: Certainly in my late teenage years. Someone gave me a couple books by Kerouac. And there was of course Hunter S. Thompson’s “Fear and Loathing Las Vegas”. But I think I was most influenced by the idea of heading off into the wilderness on a sort of a vision quest, and so I was quite drawn to solitary religious figures who would go out on a journey to find some element of truth either about themselves or the world. That led me to Buddhism, and starting to think differently about my own place in the world. Savannah: What are your thoughts on the stereotype that Americans lack curiosity about the world around them? Politicians like George W. Bush and Rand Paul have been criticized for being in positions of political power, and failing to really visit the world that their foreign policy visions have affected, or might in the future. What do you think about that? Jason: I think it’s a problem. I try not to be too judgmental, because not everyone can go off and spend 15 years of their life having a nice jolly trip around the world. And these extended trips are not for everyone. They don’t make a lot of sense in many ways, certainly financially. Career wise, it’s a terrible thing to do. But I will say that I do think travel has a very valuable place in opening our minds up to how people think in different parts of the world. It makes you more tolerant as a citizen of this planet. In light of globalization and the fact that we all are becoming more intertwined, I think there is a responsibility on the part of people who are in a position of great power, like the people you just mentioned, politicians, business leaders, whose decisions are going to be affecting the lives of people, not just in their own constituency or their own country. In a rich country like the US or the UK, those decisions are going to be influencing people’s lives who live many, many thousands of miles away, through foreign policy or business practices. Jason: I find that one of the drawbacks of the States is that people are quite inward looking. That, I think, tends to lead to some element of dogma in their belief systems.